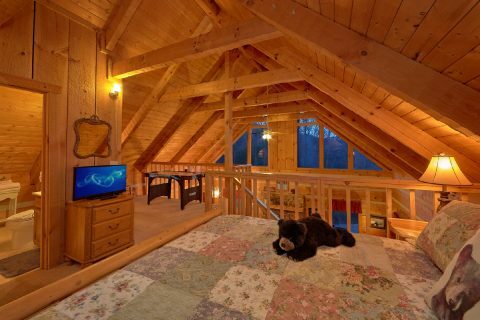 Looking to escape to the mountains? 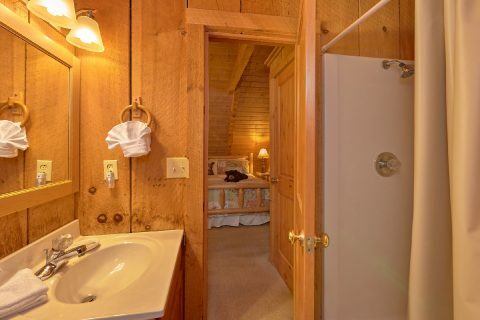 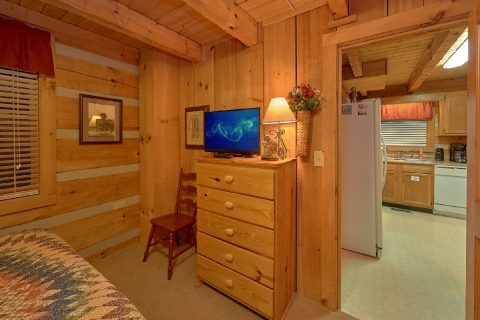 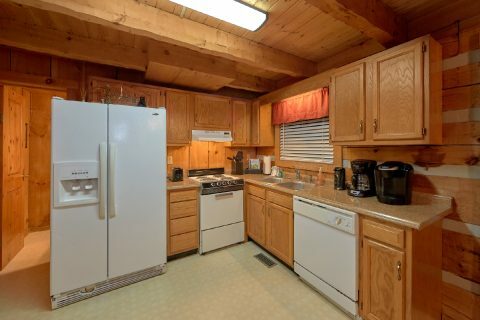 "Just Barely Making It" offers guests a chance to enjoy a cabin near Gatlinburg with wireless internet, hot tub, TV, and other modern conveniences while still enjoy the rustic cabin feel with a peaceful wooded setting and wood burning fireplace. 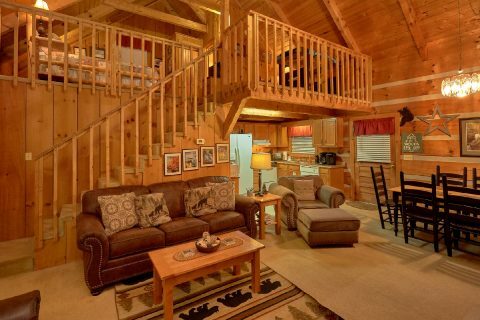 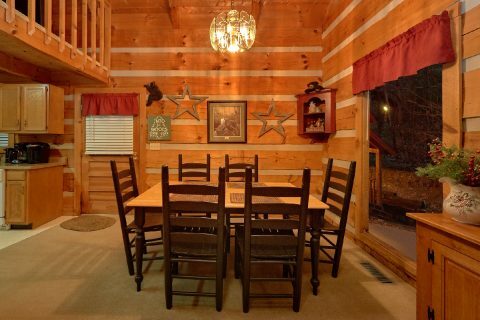 Your cabin retreat provides a comfortable setting for a home away from home. 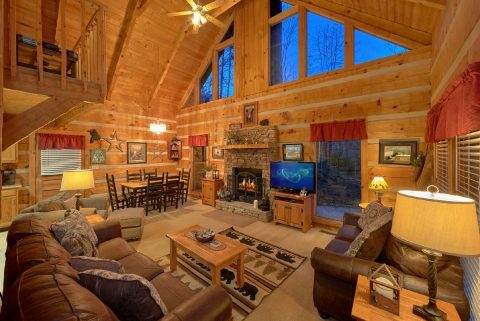 Gather around the wood burning fireplace with friends and family to share stories or watch TV. 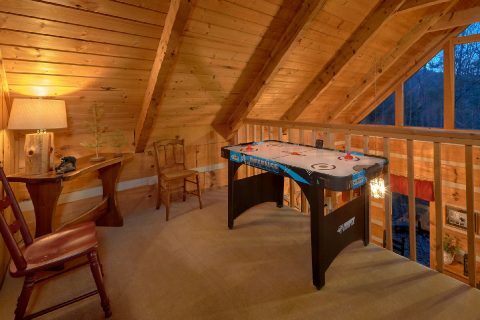 Enjoy some fun and games on the air hockey table. 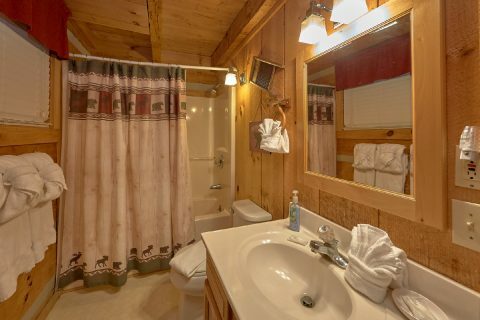 You can also enjoy practical features at your cabin with WiFi Internet, a dishwasher, and paved roads that are motorcycle friendly. 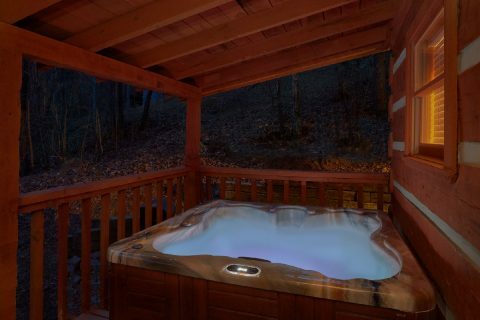 While seemingly private, your cabin places you near all the fun and excitement the Smoky Mountains have to offer in Pigeon Forge, Gatlinburg, and the Great Smoky Mountain National Park. 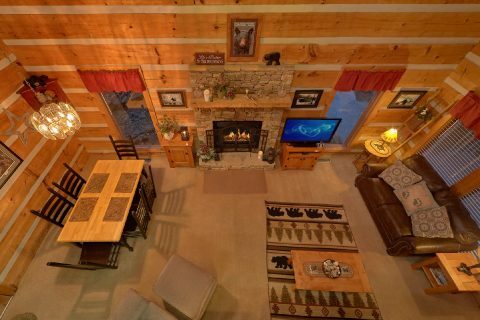 From dinner shows to shopping, there's plenty to do near your cabin. 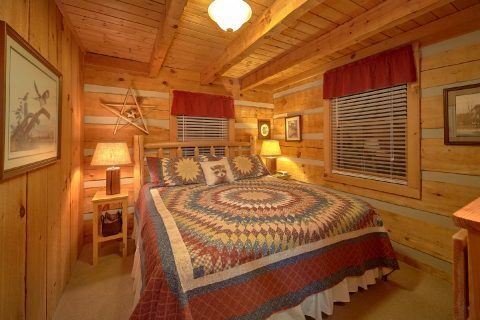 After a day of excitement in the Smokies, you can rest up for another day of adventure in your cabins 2 king beds - one in the master suite and the other in the loft area. 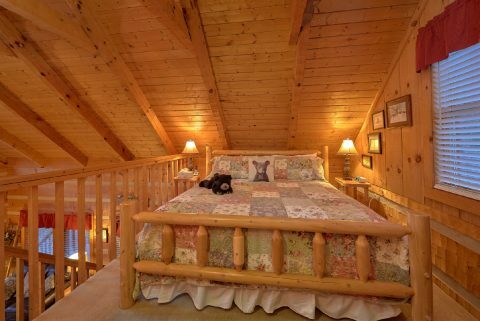 A sleeper sofa in the living room offers additional sleeping space. 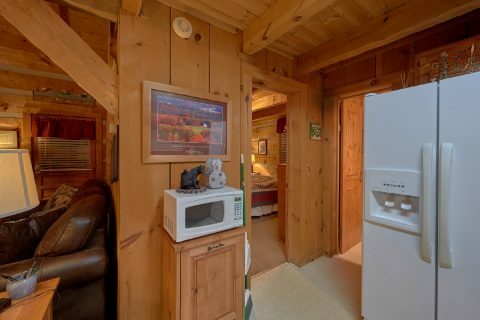 If you need more space to house your group, nearby "A Hummingbird Hideaway" offers families and groups a chance to stay near each other without sacrificing privacy with your cabin's wooded setting. 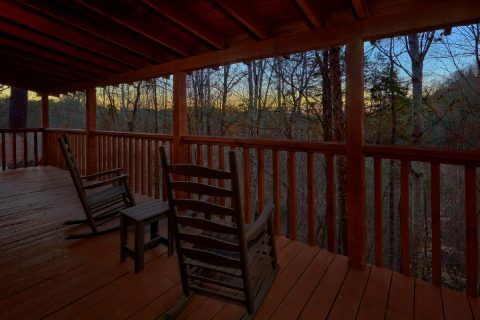 The highlight of your cabin retreat in the Smokies is the ample outdoor space that's perfect for enjoying the mountain air. 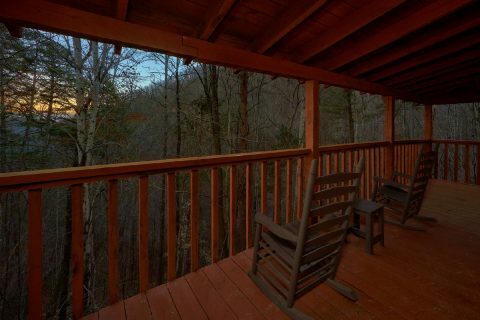 A wrap-around, covered deck invites you to take in the mountain breeze while relaxing in a rocking chair or soaking in your cabin's hot tub. 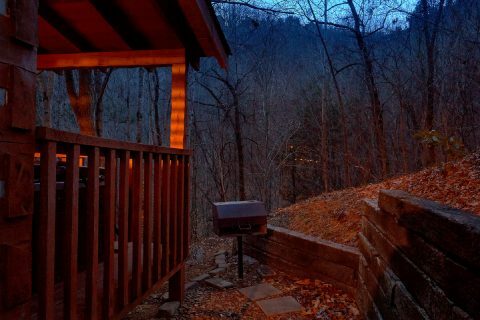 On warm summer days, enjoy cooking out on your cabin's charcoal grill for a memorable meal with family in the heart of the Smoky Mountains. 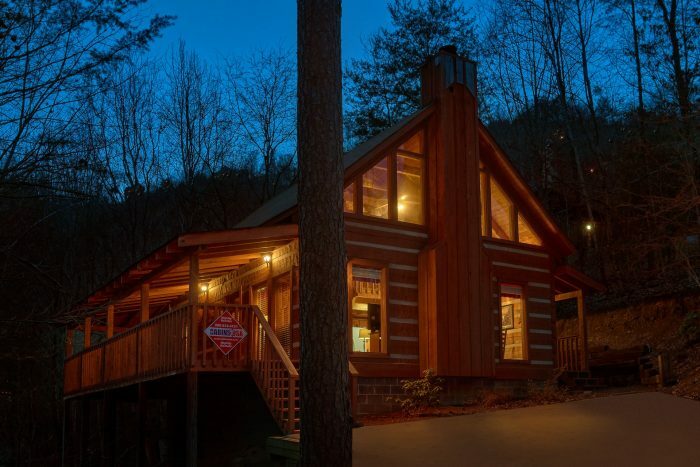 Reserve "Just Barely Making It" today and enjoy a 15% online booking discount on this cabin near Gatlinburg with wireless internet and more!